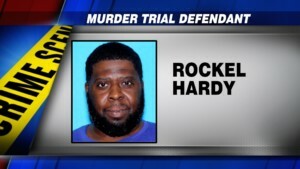 A Wilcox County man is set to go on trial in Selma for the 2012 murder of a Dallas County man. District Attorney Michael Jackson says Rockel Hardy of Pine Apple shot J. C. Gaines at a night spot in Dallas County. Jackson says the two men got into an argument at Bennie’s Place in the Minter community. “I think it started from something real minor, like them bumping into each other or something, but that led to an argument and after that all hell broke loose,” he saaid. Jackson says a verbal argument between the two men — escalated into a physical fight — that ended in gunfire. Jackson says Gaines was shot several times — and died as a result. “This was a .22 assault rifle, which is very dangerous. Unfortunately that seems to be a weapon of choice but that’s a very dangerous weapon,” said Jackson. D. A. Jackson says he expects the trial to last for most of this week.